North Fambridge is small Essex village between Althorne and South Woodham Ferrers. The village is rural with a population spread on either side of Fambridge Road and The Avenue finishing on the banks of the River Crouch. 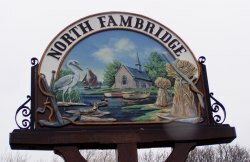 For specific information about North Fambridge please click on the below links.